The Loras College men’s soccer team started their season hot with a record of 3-1, with wins over Elmhurst College, St. Olaf College, and Carthage College. The loss came on the road at number two ranked University of Chicago. On Saturday, Sept. 15th the Duhawks took on the Carthage College Redmen in Kenosha, Wisconsin. During the first 15 minutes of the game, both teams went scoreless. 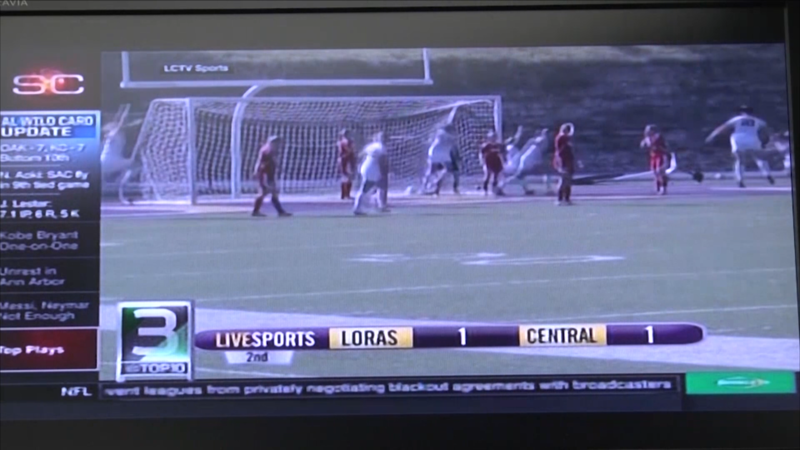 Loras’ junior midfielder Mark Broderick made his first goal of the season after crashing the box. Senior midfielder Chris Alfaro was credited with an assist on that score. The Redmen battled back in the first half, with a goal in the 34th minute from Kevin Mahoney. Then the Duhawks bounced back and forced a second goal in the 43rd minute. That goal was scored by sophomore defender Connor McGarry, with assists from senior forward Joshua Niloff and sophomore midfielder Manny Lopez. In the second half, the Duhawks were able to hold off the Redmen until the 68th minute, when Adrian Herrera found the net and tied the game. That goal ultimately sent the game into overtime. With the clock counting down, there was a foul deep in the Redmen’s zone. That gave the Duhawks a free kick, allowing Alfaro to set up junior forward Ezekiel Kyoore, who scored the game-winning goal. Despite their thriller win, the Duhawks were unable to carry that momentum into their next match on Sunday, Sept. 16th against the University of Chicago. That game started off as a physical battle, and led to a penalty kick for Chicago in the 14th minute. Max Lopez of Chicago was able to convert, scoring the first point for Chicago. Both teams battled after that, but at the end of the half Chicago was up 1-0. At the start of the second half, Chicago came out strong, with another goal by Lopez — assisted by Dayo Adeosun — in the 53rd minute. Chicago found the net a third time in the 64th minute, with a score by Matthew Koch, assisted by Lopez. After losing this match, the Loras men’s soccer team fell to a record of 3-1. The Duhawks take on cross-town rival University of Dubuque this weekend, on Saturday, Sept. 22 at 7:30 p.m. The American Rivers Association conference game will be held at the University of Dubuque. Jonathan is the Assistant Sports Editor and a sports writer for The Lorian. MyDuhawk.com is a student run, converged media publication of Loras College Television and The Lorian newspaper. Our focus is to bring you news and sports from Loras College, as well as the Dubuque and surrounding communities. Are you managing your finances?